Angelo D'Aleo, Fred Milano, and Carlo Mastrangelo were all friends from the area around Arthur Avenue in the Bronx. They attended Roosevelt High School and hung out together. They began singing together and named themselves The Belmonts after the street on which Freddy Milano lived. As a trio, they recorded for the Mohawk label in 1957, making their debut with the song "Teenage Clementine," Dion, who lived in the neighborhood, joined the group for the recording “We Went Away”. It was cut for Mohawk Records under the direction of conductor/arranger Hugo Montenegro. 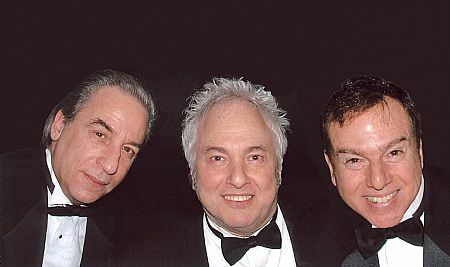 The group moved to Laurie Records, newly founded by Bob Schwartz (who had been a part-owner of Mohawk), and his brother Gene, and cut their label debut "I Wonder Why" which made it to the top of the charts. It was followed by a pair of hits, "No One Knows" and "Don't Pity Me," which also made it to the top of the charts. "A Teenager in Love" made number five, and further hits with "Where or When" and "When You Wish Upon a Star" elevated The Belmonts with Dion as a major worldwide act. Their vocal talent as a singing group was displayed prominently on all the recordings, with their collective musical tastes ranging from rock ’n roll to jazz, to country, to pop and blues. Of note is one particular performance at the Surf Ball Room in Clearlake, Iowa the night on which Buddy Holly, Richie Valens and the Big Bopper lost their lives in a plane crash. Watch more videos in the Soundtracks and Video section. Songs written by George David Weiss all done acappella featuring The Annual Animal Christmas Ball. This album was released on Warner Brothers Records in 1972. Richard Nader does the introduction. Madison Square Garden was electrified that night and we had a great time. Give it a listen. Currently out of stock, but keep checking. The Belmonts Rock'N Roll Traveling Show includes the hit single Let's Put The Fun Back In Rock 'N Roll. Snippets coming soon. This is our second album. It contains what we think are some of the most beautiful standards of all time. The songs are downloadable from our home page, The Best of Dion and The Belmonts. Enjoy!